On January l0th, 16-year-old Gynnya McMillen was found unresponsive at the Lincoln Village Regional Juvenile Detention Center in Elizabethtown, Kentucky State (CBS reports). On January 15th, Gynnya's sister LaChe Simms created a Facebook page "Justice for Gynnya McMillen," which gained the attention of #BlackLivesMatter supporters and few social media platforms. In recent news CBS has reported that the day before Gynnya was found unresponsive police used an "Aikido Restraint" on her for refusing to remove her sweatshirt, while they attempted to search and photograph her for booking. Following that event, Gynnya was placed in isolation and left in the hands of officer, Reginald Windham, who failed to check on her during confinement. Reginald is now on paid administrative lead while questions are still left unanswered surrounding Gynnyas' sudden death; besides, the lead that she may have died in her sleep. According to reports from sister LaChe on 48 Hours' Crimeinsider, Gynnya had never been admitted to a juvenile detention center prior to these events. On January 10th, Gynnya was brought to Lincoln Village on the grounds of a "domestic incident" at her mother's home in Shelbyville, Kentucky. With yet another quieted unsolved murder case in the hands of police supervision, we can't help but wonder; will justice indeed be served for Gynnya? After all, Sandra Bland has been denied justice up to this point following the announcement of no indictment for police who witnessed her final breath. And we can't forget Shakara of Spring Valley High School, in Columbia South Carolina who was attacked by a school security guard in November 2015. Unjust war is rising against black women who are labeled as a "threat" to law enforcement, despite little or no records available to support such claims, however, as we've learned in other unfortunate cases, social media has the power to illuminate what crooked authorities keep in the dark. 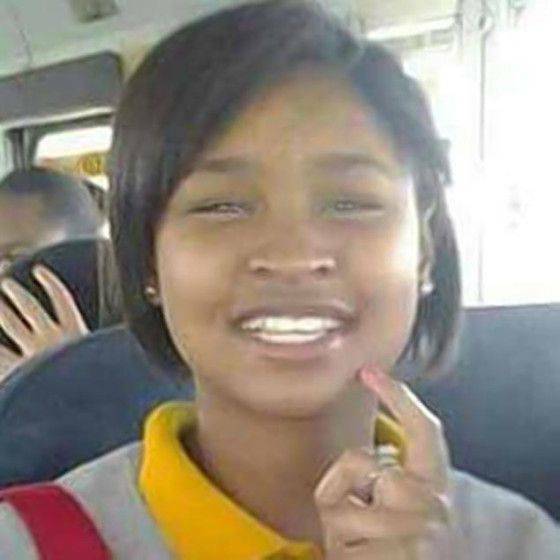 #SayHerName while Gynnya's case is pending and use the the hashtag #GynnyaMcMillen to show support. We can all help to pressure Lincoln Village Regional Juvenile Detention Center, to face their responsibility in her mysterious death. To learn more about Gynnya's tragic story click here.